That typo in the email address was updated by Strategy11 Support but the message “There was an error generating the PDF file. This activation code is not valid.” is showing when we try to use PDF form. The activation key provided is not for the PRO2PDF plugin. 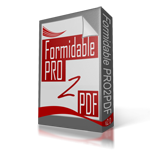 What is your original order number for the PRO2PDF plugin?